Let me tell you, waking up when there is actually a bit of light outside, drinking HOT coffee, and staying in my comfy pants until way too late into the day, these are a few of my favourite things. So far, working from my home office (aka my living room), is going swimmingly well. (I got that song stuck in your head, didn’t I)? I’m even getting little things done that I normally didn’t feel like I had time for. Making a fresh batch of hazelnut milk (yum! 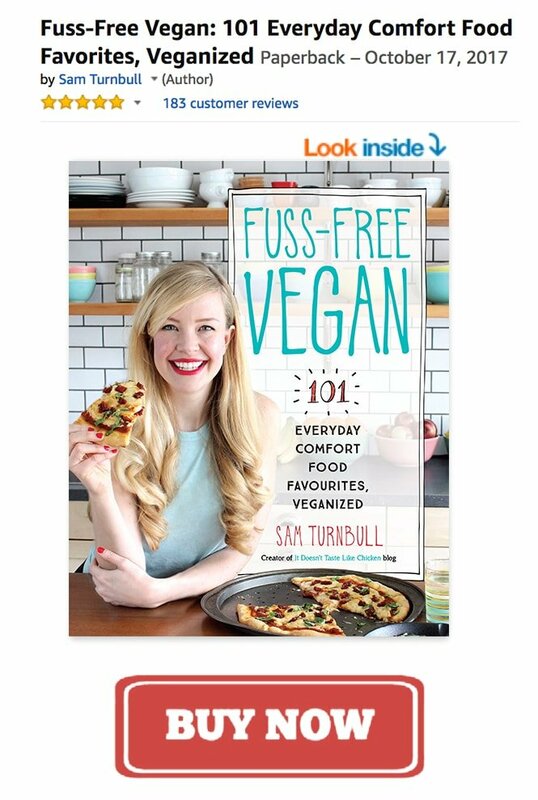 ), cooking up some chickpeas from scratch, and actually getting around to cleaning the dog hair off of everything. Grrr… dog owner life. Now for the making a living part, not so sure about that one yet, but it will come, it will come… please, please, please. Do you remember way back when the super amazingly nice people at Produce Made Simple challenged me to make a recipe featuring rutabaga? I ended up making Rutabaga Gnocchi, which turned out super fancy looking and delicious. 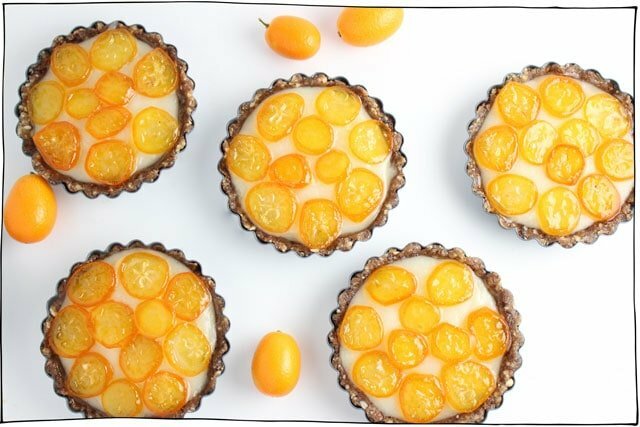 Well, they have done it again, Produce Made Simple challenged me this time, to make a recipe featuring kumquats!! What’s that now? Yes, they are a thing. If you are unaware of the world of kumquats, they are basically mini oranges that are slightly oval in shape. 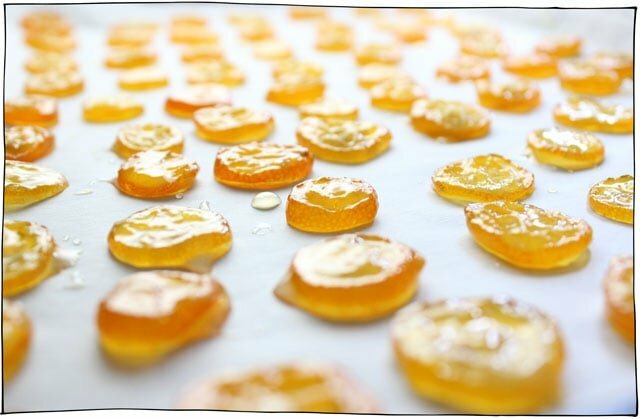 They’re a little more tart than oranges, tasting somewhere in-between an orange and a lemon. Super cute little dudes but because they are so small, tangy, and full of large seeds, they aren’t super delicious to eat just as they are. So what in the world do you do with them? Coat them in sticky sugar and lay them on a bed of coconut cream. Or at least that’s what I did. This dessert tastes like a fancy version of a creamsicle, and fancy or not so fancy, I love creamsicle flavoured everything. 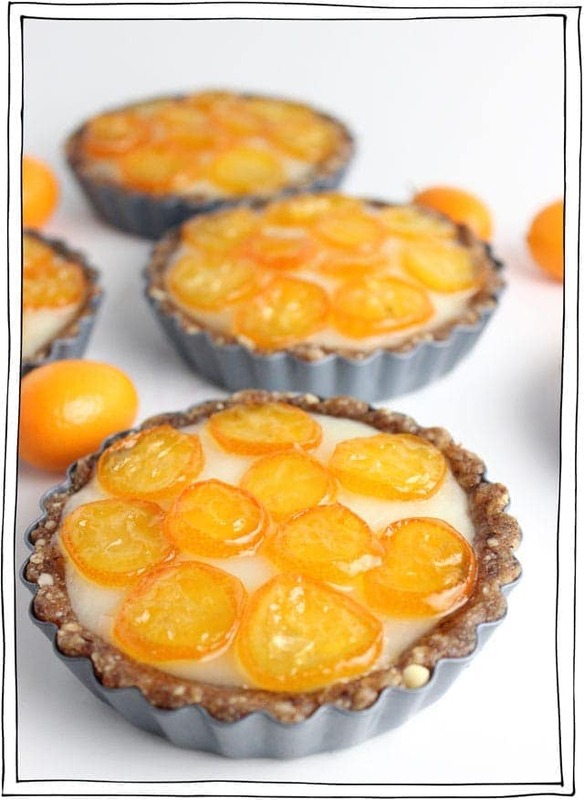 Featured Ingredient: Kumquats. 43 Recipes, 63 days to go! These look so interesting! I have never had kumquat before. I might just have to try these out! a big guh from sweetzerland! your stuffs are so appreciated way down here: thankies for sharing!